Fall whaling concluded in Utqiaġvik in late October, and was characterized this year by events that brought additional excitement, but also sorrow to a usually celebratory time for the community. 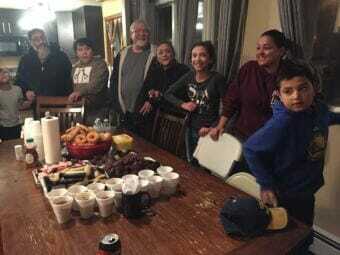 In the early evening, a few days after the last whale has been brought onshore in Utqiaġvik, Ross and Justina Wilhelm’s house is crowded with about 20 friends and relatives. They’re setting out doughnuts and pineapple cake, arranging plates of whale meat and unaalik — which is boiled whale blubber and skin — and bagging up servings of whale for people to take home. Ross Wilhelm is a whaling captain and his crew, with help from others, brought in the final whale of the season. His wife Justina is responsible for organizing tonight’s “crew’s serving,” an event where anyone in the community can come get a portion of the whale. When everything is ready, the group joins hands. Ross’ mother Lagoo Kunaknana says a prayer in Iñupiaq, expressing gratitude for the whale they’re about to serve. 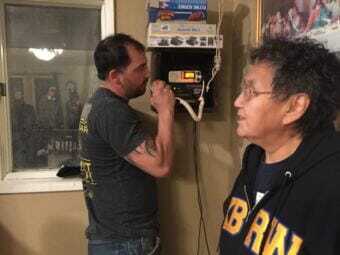 The prayer is broadcast over VHF radio, along with the family’s house number and an announcement that they’re ready to serve. Soon there’s a steady stream of people revolving through the house, yelling congratulations and trading hugs in the Wilhelm’s living room. Ross Wilhelm spends the evening shaking hands and greeting visitors. “It’s just what puts us together is the whale, the bowhead whale. Just gets us all together,” Wilhelm said, before breaking off to say hello to an approaching friend. Wilhelm says that the usual energy around fall whaling was boosted this year, coming off a big success at the meeting of the International Whaling Commission in September. At that meeting, the IWC made some key changes to the bowhead whale quota that Alaska subsistence hunters had been pushing for. But on the other end of the emotional spectrum, the community just experienced a profound loss. About a month ago, Captain Roxy Oyagak Jr. and crew member Ron Kanayurak were killed in a whaling accident off the coast of Utqiaġvik when their boat capsized while towing a whale to shore. Ross Wilhelm says that the crew’s serving is a time of joy, and that seems to be the main emotion in the room during the event. But in conversations around town it’s clear there’s still a lot of pain related to the accident. It’s also an important reminder of something that whalers already know well: that whaling can be dangerous. Wilhelm says that he was shaken by what happened. Despite what happened this season, and a close call he himself had in the past, Wilhelm isn’t deterred from the hunt. He says sometimes things happen that are outside your control, but the only thing you can do is renew your vigilance when it comes to basic safety. He’s not the only one thinking along those lines. The Barrow Whaling Captains Association is reviewing what happened, and will be discussing what safety lessons may be drawn from the accident at upcoming meetings. That’s according to Crawford Patkotak, a whaling captain and board member. He says that many in the community are still mourning the loss of the two men, but the overarching dedication to continuing the tradition of whaling remains strong. 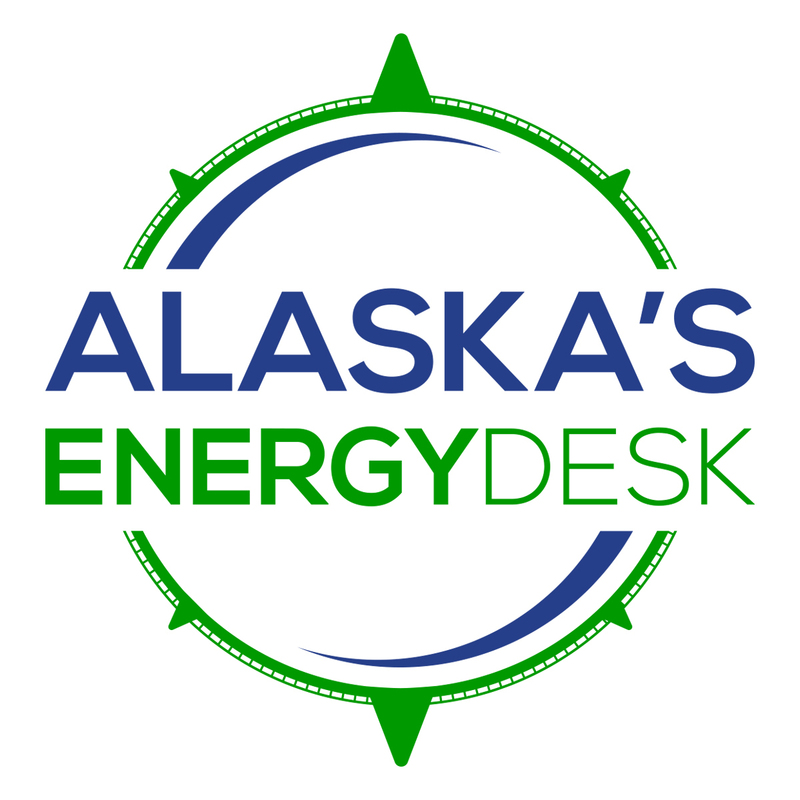 Fall whaling concluded in Utqiaġvik with hunters bringing in a total of 19 whales, the full number of whales permitted by their quota.